An Android OS box was built from the ground-up to handle apps that you want to install � whether from the official Google Play store or from a separate third party. This feature is seldom available in smart TVs, especially those that only install a handful of apps on the TV and prevent you from easily installing more of your own. 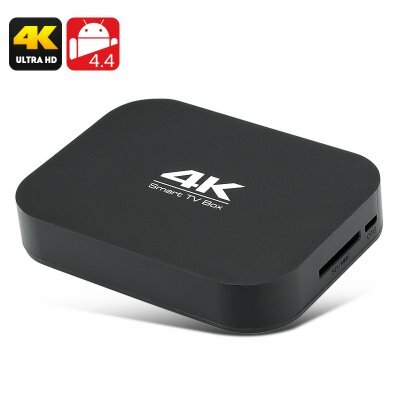 Feel like playing a retro video game on the best Android TV box you�ve got? Install an emulator to play Nintendo or even Xbox games. Want to review documents and get some extra work done at home? Install one of the many office suites from the Play Store. Looking for great movies or shows to watch on your own time? Buy/rent movies from the Play Store or download your choice of video-on-demand apps to work with. In short, Android dongles and boxes give you control over the content that you want and need. Another advantage of customizable Android TV boxes over smart TVs is how often the apps and firmware are updated. Because of the ever-evolving nature of both the Android platform and the apps that utilize the operating system, the best Android TV boxes on the market consistently churn out updates for their units. This is huge in a way that both the firmware and apps patch security vulnerabilities, improve performance and generally make the user experience smoother and more intuitive. Even the apps themselves see frequent updates to improve functionality � which is something that you don�t see happen often with smart TVs that use their own operating systems. Android is a platform that accommodates change and innovation, and Android apps reflect this attitude in their development. The hallmark of cool Android TV boxes is how easy it is to hook up a whole range of accessories and add-ons to work with them. The best Android TV boxes out in the market come with a plethora of options for connecting devices. USB ports, micro-USB ports, Bluetooth connectivity, Wi-Fi internet access receivers, LAN cable ports � all these and more make it relatively easy to hook up whatever accessory you want to the box. This also means that you can easily disconnect these accessories whenever they are not needed. This is especially important in the case of microphones or cameras. It can be a bit creepy and unsettling when your TV has a built-in digital camera that you can�t turn off or unplug when you don�t need them. Here�s the clincher: quality Android TV boxes don�t necessarily need to cost more than smart TV boxes. This is especially true for those who already have TVs in their households and are considering getting a smart TV. Top-of-the-line boxes cost around 100 USD, which is a fraction of the cost of a smart TV yet offers all the features of the said TV � along with option to customize the apps as you see fit. Sometimes it may even be worth investing an additional hundred dollars or so even if you already have a smart TV. The ability to add new apps and work with a variety of other accessories makes it a decent use of cash. Keep all these in mind, and it�ll be so much easier to understand just how the best Android TV boxes often outperform the best smart TV boxes in terms of utility, customizability and value for cost! Chinavasion is a Shenzhen-based wholesaler that offers a wide array of gadgets, from the best Android TV boxes in the market to whimsical LED shirts for the wacky individualist. Visit Chinavasion.com today to learn more!